We’re not quite at the halfway mark of the Big Bash League this summer, but the narrative is well and truly set among cricket fans and people looking for something else to watch on TV. And this is a curious thing. As of Friday night’s win by the Adelaide Strikers over the Melbourne Stars in Adelaide, 27 games have been completed this summer. Last summer, by Saturday 13 January 2018, there had been 28 games played in BBL07, and with the first ODI of the summer played on Friday 13 January 2017, 24 games had been played in BBL06. So despite roughly the same number games having been played by the equivalent day and date in the last couple of years, the narrative is definitely there this summer, and it’s been there for a good week or more now. ‘There’s been way too many games this summer’; ‘It’s gone on way too long’; ‘The BBL is really dragging on this summer’. This kind of comment has been commonplace; it’s popped up during radio conversations I’ve had, it’s definitely been said to me in regular conversation, too. It’s been said on social media, and we’ve definitely seen it in comments on these very pages. But again, this summer’s competition actually started a day later than recent seasons, and despite playing a doubleheader on Christmas Eve – games had never been played on Christmas Eve before – we’ve still not actually played any more games than by the equivalent point in the summer. In reality, it’s all about perception, and I’ll come back to this in a moment. This summer, the BBL has been extended. So it will go on longer than any previous season. But this triple-header will only just get us beyond the halfway point of the competition, with BBL|08 extended out to 59 games in total (from last summer’s 43 games). So if you reckon it was dragging before, it’s still got a way to go yet. As for the perceptions, I’m in no doubt at all that they’re being driven by the quality of the competition, which is certainly down on recent years. I mentioned in the last week or so that average first and second innings team scores are down by 12 to 15 runs per innings, and that individual scores were down, too. It certainly feels like more batsmen are playing dumb shots to get out, but that’s my own perception. The fielding has definitely been poorer this season than in recent summers, though, and anyone following BBL games on social media and online blogs would no doubt have seen commentary along these lines. When you are watching a game, and you don’t even have to watch a game in its entirety, there’s every chance you’ll bemoan the standard of the cricket being played. But if perceptions quickly become reality, then Cricket Australia will be keenly taking note of the viewing numbers from today’s first ever BBL triple-header. We’ve had double-headers for years, but never three games on one day. The Sydney Thunder and Adelaide Strikers will kick us off in the afternoon at the Sydney Showground, the Melbourne Renegades and Brisbane Heat will follow down in Geelong early evening and then we’ll head west to take advantage of the time zones, with the Perth Scorchers hosting the Sydney Sixers. 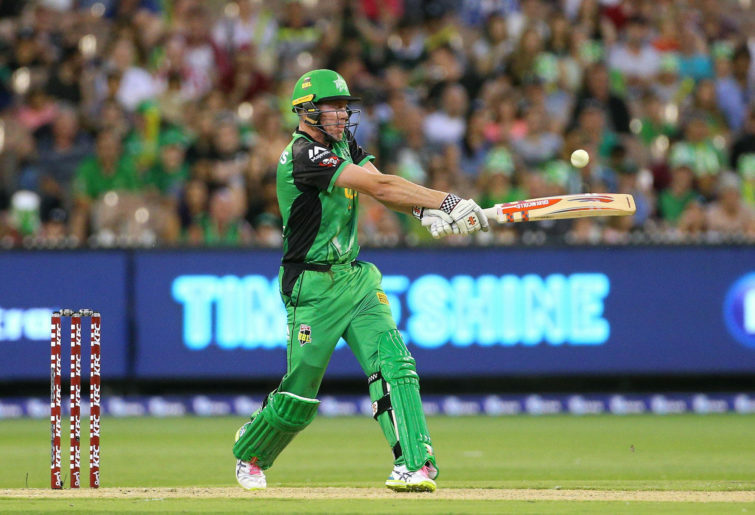 Nearing the halfway mark in the BBL, all three games will be crucial for the teams involved. With only two wins separating first and sixth, and ditto second and eighth, no team can really afford to drop games from here. It’s from this point on that gaps opening up on the competition ladder can become fatal. So from that point of view, Cricket Australia has timed the first use of three games back-to-back really well. But with BBL|08 lasting from the week before Christmas right through until the final on February 17, Cricket Australia are also going to test the cricket public’s patience. There are only three ODIs this summer, compared to the five plus one T20I interlaced with the BBL last summer. But last year’s BBL final was on the first Sunday in February, not a fortnight later. So if Cricket Australia really do want to extend the BBL season out to almost 60 games, then a more judicious schedule is going to be in order. Though the Seven Network’s ratings are down on Network’s Ten BBL numbers from last season, once you add in the Fox Sports numbers, it’s all pretty much equal. Crowds do appear to be down on last season, but that could easily be a matter of families now picking which games to go to in their city from more on offer than over recent seasons. Quality of cricket could easily be a factor, too; no doubt. So if the TV numbers tomorrow remain strong through three games, then Cricket Australia should be looking at trying to reign the length of the season in a bit next summer by using more of these weekend triple-headers. The five time zones across the country in summer means that games can be stacked up and not have to start ridiculously early or late in any one city. They could even work well on New Year’s Day, for example, as well. Doing this means the season could be pulled back in by upwards of a week, which given perceptions as they are already, could make a difference. It will be interesting to see how the three games do go today from a TV point of view. We could be getting a glimpse of what BBL Saturdays or Sundays look like next summer.